Enzo Ferrari: "We can not describe passion, we can only live it". 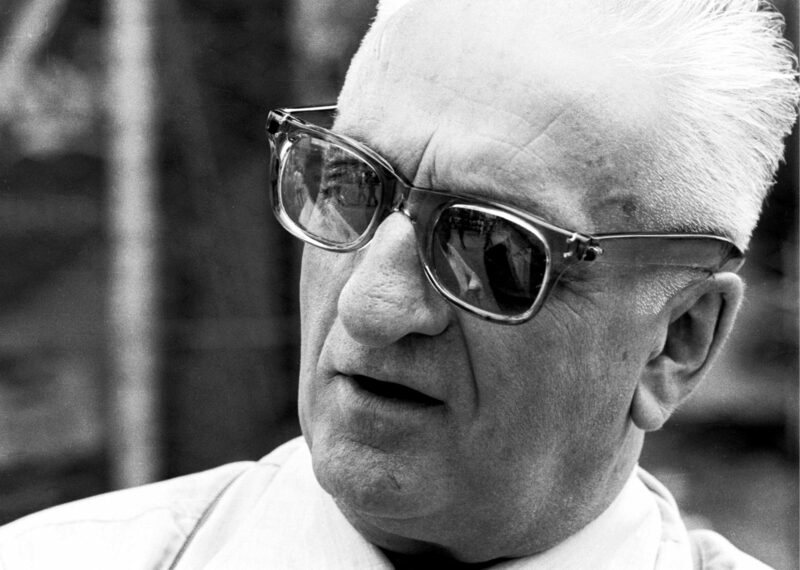 Enzo Anselmo Ferrari was born in Modena on February 18, 1898. An entrepreneur, engineer and Italian racing driver, in 1947 in Maranello he founded a car company naming it “Ferrari”, giving way to a story that would make Ferrari the most successful Formula 1 team and most famous car company ever. 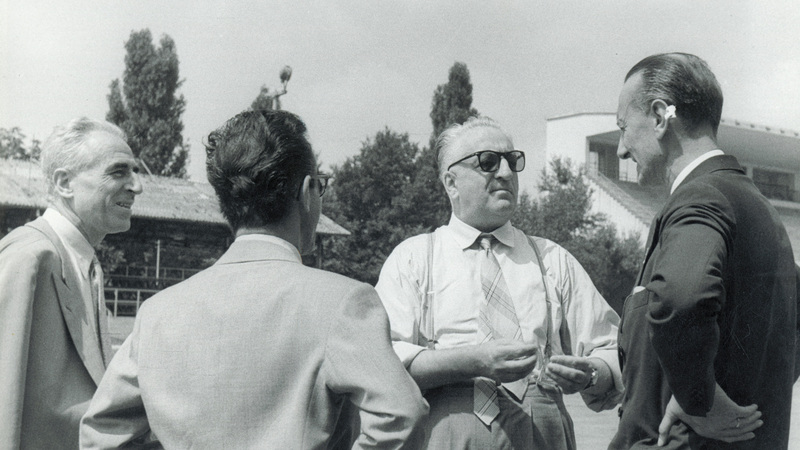 The second son of Adalgisa Bisbini, noble landowner from Forlì, and Alfredo Ferrari, owner of a mechanical workshop in Carpigiana, Enzo Ferrari spent his childhood in Maranello, in the house that is now home to the Casa Enzo Ferrari Museum. 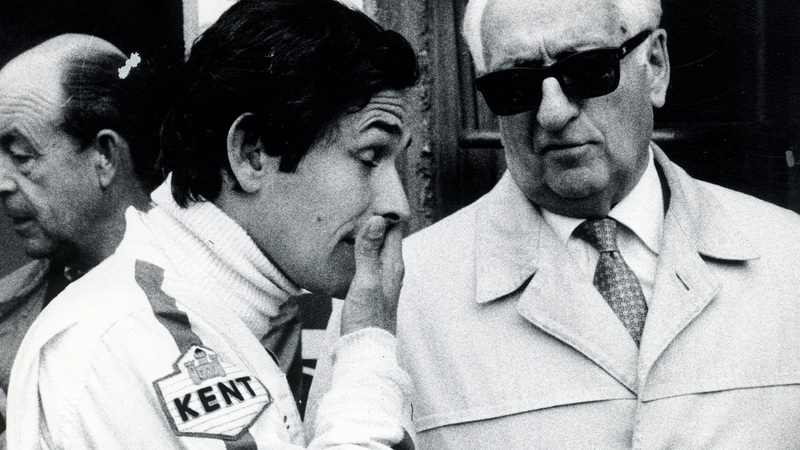 His first encounter with racing occurred at age 10, when Mr. Alfredo took him to Bologna to attend a car race. The little Enzo, who had already shown an interest in mechanics, was very impressed. In 1916 a double tragedy hit the family. Both his father and brother died prematurely within a few months of each other. He quickly became head of the family and interrupted his studies, finding employment as an instructor in the 'Modena's firefighters' workshop, before his life was in upheaval because of the war. However, his experience in the Royal Army proved shorter than expected - he was drafted and assigned to the III Alpine Artillery Regiment, suffered a serious illness followed by two operations and was then discharged. Once recovered, Enzo sought employment at FIAT in Turin, receiving a refusal from the then director of personnel Diego Soria. At the end of 1918, whilst still in Turin, he found employment as a tester at a small company that made the much sought-after "Torpedo" (a type of car body). In 1919 he moved to Milan and found a new job at the C.M.N (National Mechanical Engineering), first as a test driver and later as a racing driver. His debut race took place that year, in the uphill Parma-Poggio di Berceto race, where he finished fourth in the three liter category. In 1920, after a difficult race at the helm of an Isotta Fraschini 100/110 IM Corsa, he beat Targa Florio to the finish line, driving an Alfa Romeo. Thus began the twenty-year collaboration of Enzo Ferrari with the company from Biscione. A relationship that would last until September 1939 and that would lead him to fill positions as test, pilot, commercial collaborator and, finally, director of the Alfa Corse department. 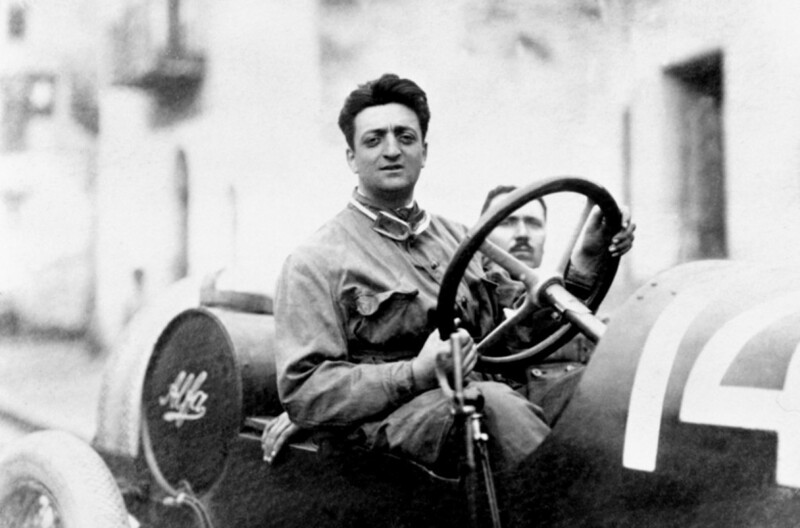 In 1923, Enzo Ferrari won his first "Circuito del Savio" trophy, a motorcycling and motoring event that ignited the passion for engines in Romagna. On this occasion Enzo Ferrari met Count Baracca, father of the famous Francesco Baracca, ace of the Italian aviation whose triumphs - including thirty-four air victories during the First World War, which earned him a gold medal for military valor - are told in the Museum dedicated to him in Lugo. Later he would also meet the Countess Baracca, from whom he would receive a photo with a dedication and an invitation to use the "Prancing Horse" as a lucky charm on his cars. "It was she who told me one day - Enzo says - Ferrari, put the prancing horse on your machines. He will bring you luck. "(...)" I still keep the photograph of Baracca, with the dedication from his parents with whom I entrust the emblem. The pony was and remained black; I added the canary yellow background which is the color of Modena." On May 20, 1928, Enzo won the 2nd Circuit of Modena at the wheel of an Alfa Romeo, and in 1929 he founded the "Scuderia Ferrari" in Modena, a sports club whose aim was to "race" its members . The Scuderia competed both with cars, especially with Alfa Romeos, and with motorcycles. Over time it would become a technical-competitive Alfa Romeo branch, before aquiring in 1933, also the management of the sporting activity. 1931 was the year of his last race as a driver. Enzo hung up his helmet and gloves on August 9th after the Circuit of the Three Provinces, at the age of 33. 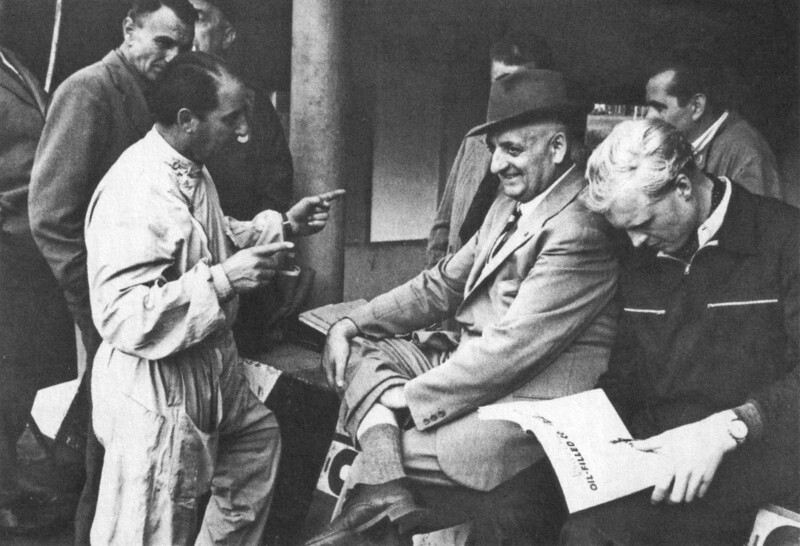 The birth of his son Alfredo, known as Dino (19 January 1932), by his wife Laura Garello, and the ever-increasing commitments as director of the Scuderia, led him to decide to retire from racing. Dino suffers from muscular dystrophy, a genetic disease that in a short time, in 1956, at only 24, lead him to his death. "I had deluded myself that our care could restore his health - Enzo Ferrari explained years later - because a father always deludes himself ... I was convinced that he was like one of my cars, one of the engines." Ferrari in the meantime had another son, Piero, Ferrari's vice-president since 1988, born in 1944 from Lina Lardi, a woman whose presence was as discreet as it is was important in the private and professional life of the great builder. In 1937 the Scuderia Ferrari built the Alfa Romeo 158 "Alfetta", which would become the longest and most successful car in the history of modern sporting motoring. At the end of the same year the Scuderia was dissolved however, following the decision by Alfa Romeo to officially resume its engagement in competitions. Enzo Ferrari moved to Milan, to take up the post of director of the new Alfa Corse, but the difference in views with the management from Biscione led the two to separate already in September. 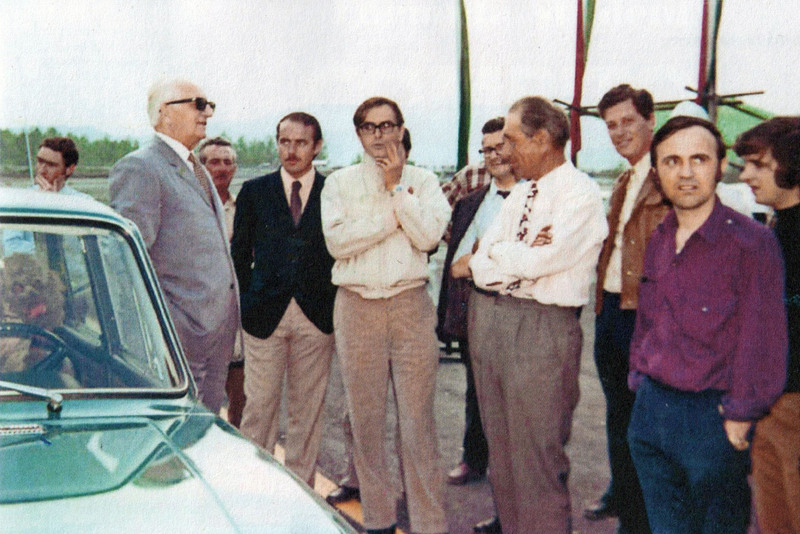 From that day on, beating Alfa Romeo with a car built by him became his big goal. Bound by the clause that he could not use the name "Ferrari" associated with racing for at least four years, on 13 September 1939, Enzo Ferrari founded the Auto Avio Costruzioni in Modena, Viale Trento e Trieste, on the same premises as the former Scuderia Ferrari. 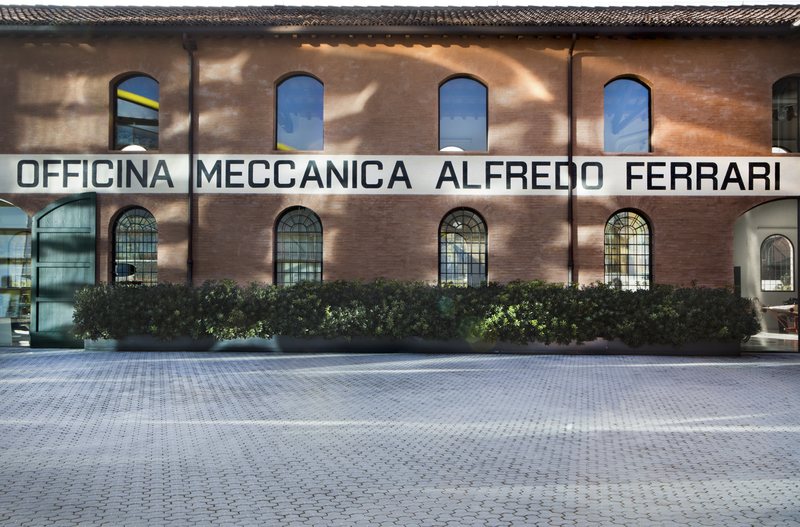 During the Second World War, the Auto Avio Costruzioni moved from Modena to Maranello, where the first part of what would be the final Ferrari headquarters was built. Two bombings between November '44 and February '45 did not prevent Enzo Ferrari from starting the design of the first car, such was his ambition, also strengthened by his friendship / competition with two Modenese automobile manufacturers: Adolfo Orsi, owner of Maserati, and Vittorio Stanguellini, pioneer of aerodynamics that at the end of the forties dominated world circuits with the ably modified FIAT cars. After the embargo on the name, after the war Enzo recreated the "Scuderia Ferrari", the sports section of the car company. His creature was thus officially part of the world of competitions from which it originated, to give full follow-up to the sporting vocation that would have always distinguished Ferrari from all the other car manufacturers. The first race in the Formula 1 championship was the Monaco Grand Prix on 21 May 1950. The first victory came in the 1951 Grand Prix in Great Britain with José Froilán González, beating the Alfa Romeo squadron. It is this victory that marked the decline of Alfa in the world of F1 and at the same time the ascent of Ferrari sports. The first world title came in 1952, with Alberto Ascari. During his lifetime, Ferrari was awarded many titles. What he most boasted about was the title of "mechanical engineer", conferred to him in 1960 by the University of Bologna. In 1988 he also received an honorary degree in Physics from the University of Modena and Reggio Emilia. His first official recognition by the state dates back to 1924, when he was named Cavaliere for sporting merits. Then, in 1925, he became official Cavaliere and finally, in 1927, Commendatore. The Italian Republic in 1952 awarded him the title of Cavaliere al merit del Lavoro, and later, in 1979, that of Cavaliere di Gran Croce. In 1962 the UN awarded him the prestigious Hammarskjöld Prize for Social Sciences, while in 1994 and 2000 he was introduced, respectively, into the Hall of Fame of car racing and automobile racing. "With so many awards, I doubted that I was a real person." 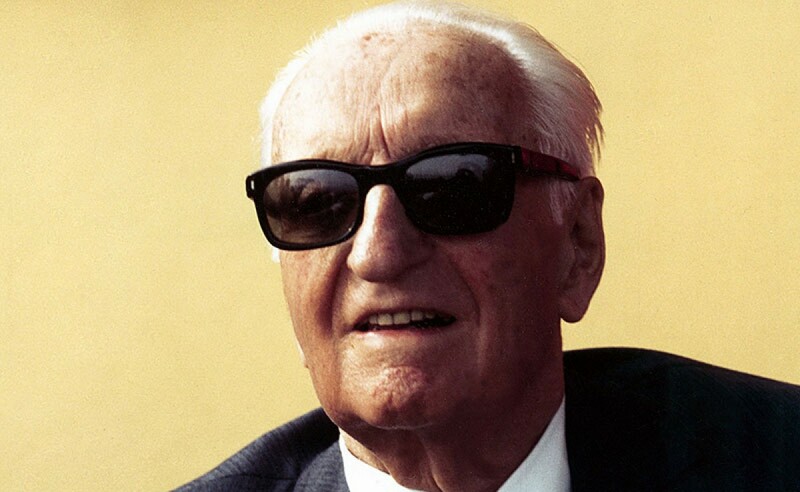 Enzo Ferrari died on 14 August 1988 at the age of ninety. The news of his death, following his wishes, was disclosed only after his funeral. 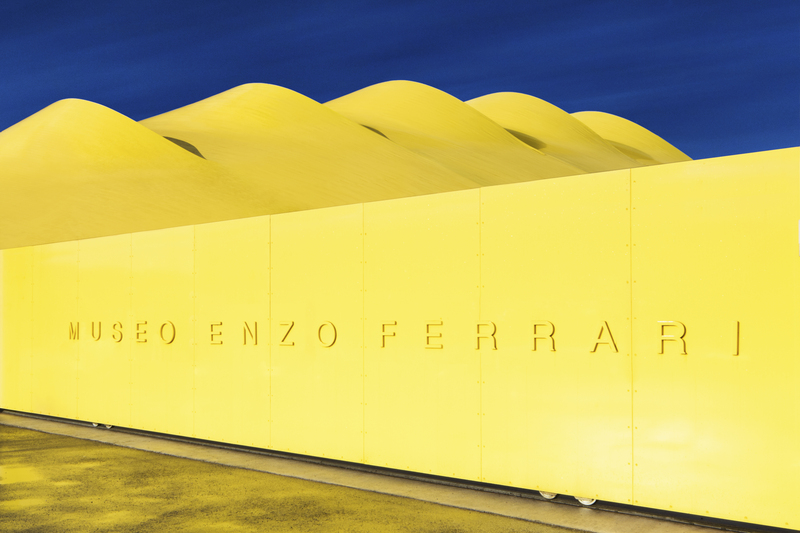 The Enzo Ferrari House Museum, inaugurated in 2012 in Modena, is dedicated to the life and work of the "Drake" (nickname given to him by his colleagues / adversaries due to his racetrack nature). 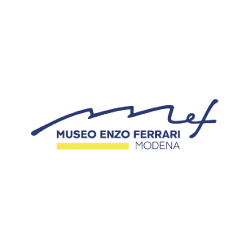 In the museum, in addition to the cars on display, there is a show that tells the magical story of Enzo's 90 years of life. 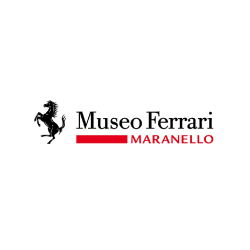 To add to this journey through the past, in the workshop of Enzo's father, now perfectly restored, there is the Ferrari Motors Museum. A story in history that emphasizes the uniqueness of Ferrari. 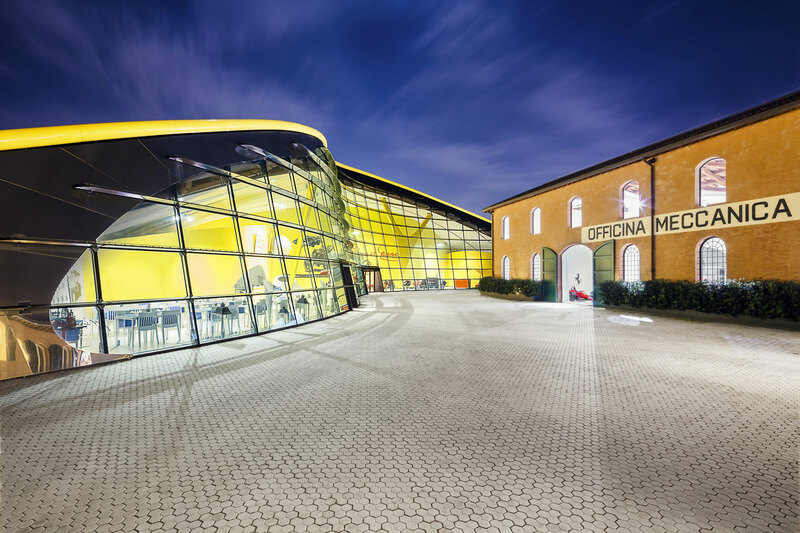 This complex story of memories is added to the Ferrari Museum of Maranello, which tells the story of Ferrari of today and tomorrow through a permanent exhibition dedicated to Formula 1 that has its roots in the extraordinary story of the Prancing Horse.